The company has crossed the 3,000-retail-store milestone with new premises in China. 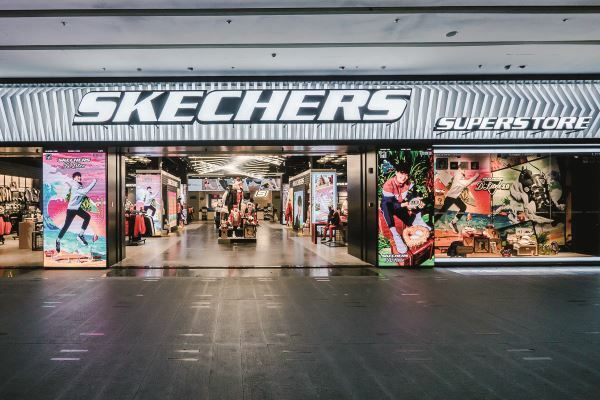 Global footwear producer Skechers USA Inc has surpassed 3,000 retail stores worldwide with the opening of a superstore in Shenyang, China. Providing more than 32,000 square feet (just under 3,000 square metres), this new store is now the company’s largest outlet and joins a network of similar superstores in North America designed to showcase a range of styles for men, women and children. The new premises features dedicated shop-in-shops for individual collections, Skechers Kids ‘entertainment zones’ and areas devoted to the brand owner’s growing line of apparel and accessories. According to Skechers president Michael Greenberg, the company sells in more than 170 countries through its network of distributors and joint ventures. He adds that Skechers has many more opportunities to build the retail store business further and expand its global presence for some years to come. Since opening its 1,000th store in 2014, Skechers’ retail presence has grown considerably. The 2,000-store mark was passed in 2016 and this new milestone has been reached less than three years later. China has the largest number of Skechers retail stores – now totalling 941 – followed by 472 in the USA and 222 in India. There are currently 690 Skechers-owned stores, the remainder being third-party-owned international retail locations in such countries as China, Finland, India, Israel, the Netherlands, Pakistan, Russia and Sri Lanka. The company is said to be planning to open 70 to 80 Skechers-owned stores and an additional 500 third-party-owned stores during 2019.